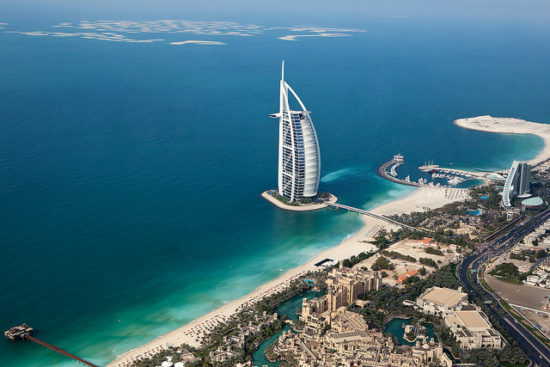 Emirates is having a good sale to Dubai for nonstop service from Fort Lauderdale. Use Emirates search — select my dates are flexible to see availability for travel around your dates. The option is available do a flexible search will be shown during date selection. 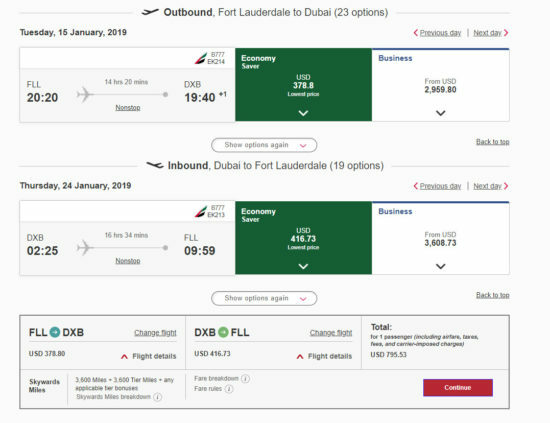 Emirates is also a jetBlue partner. This fare will earn 50% of distance – so 7,826 jetBlue points (worth about $110 for jetBlue award ticket). So if you don’t have an account with Alaska Air or jetBlue, signup for one, its free and collect those points.